Today I want to show you my little selection of highlighters, and tell you a bit about them. Highlighter is something I should definitely wear more: my makeup always looks better when the “cheek trio” bronzer-blush-highlight is applied, but I tend to forget it on a daily basis. 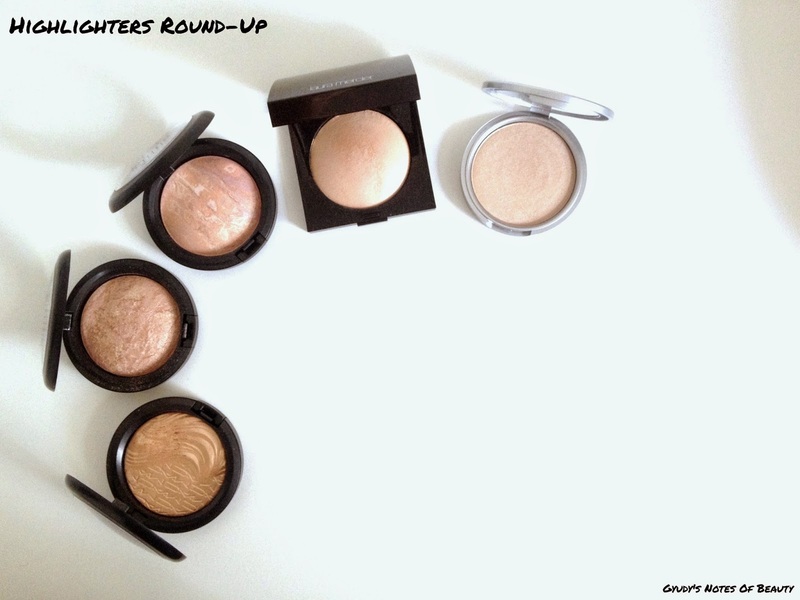 (See my bronzers round-up here!) I prefer slightly more golden ones, to let them blend with my skin tone better and make them look more natural. Let’s start! This has quite a cult following, and I can totally see why. It’s got the most lovely golden glow without being too shimmery, and can be worn more subtly or like a really intense highlight. I can’t find a bad thing about it! This one has got quite an interesting name, that comes from the bronze shades of the range that are meant to have a soft matte finish. Well, it’s gorgeous. The shimmer is even more fine, the glow even more natural. It’s perfect as even the lightest layer looks smooth and even. I love it! This one wins as the most gorgeous in the pan, and I have to say it behaves pretty well on the skin too. It’s really natural: it’s the only one I dare to apply on the bridge of my nose or on the cupid’s bow even during the day. It’s still not to pink, so works well on my skin tone. I’m being honest here: this is the perfect example of hyped up product for me. Don’t get me wrong, it’s still lovely, but I think there are much better ones out there. It’s pretty obvious, as it hasn’t got the fine shimmer of the previous ones, so I find it harder to wear than the others. Maybe it’s just me! I’ve saved the best for last, since it’s LE. But, well, it’s my favourite (it’s in my top 10 here!). 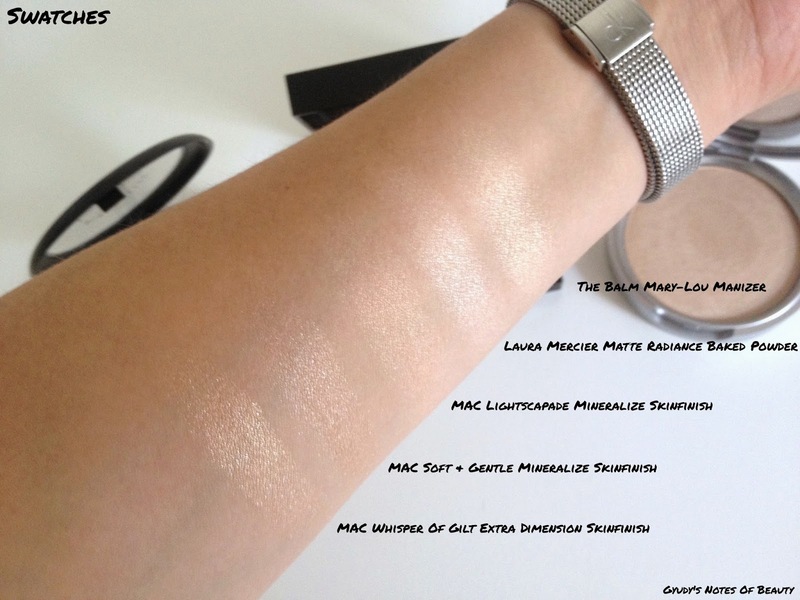 It gives the most gorgeous glow to the skin, and the swatch you see it’s a single light swipe. Don’t be fooled though: a fluffy eyeshadow brush slightly swiped over the surface picks up the tiniest amount of product that looks so, so amazing. No chunky shimmer, no metallic cheeks at 8 am (but you totally can if you want! Maybe at 8 pm though), just a gorgeous glow. What can I say… I hope they bring it back soon! Tell me, how often do you wear highlighter? Do you have any recommendations for me? Oggi voglio mostrarvi la mia piccola selezione di illuminanti, e parlarvene un po’. L’illuminante è un prodotto che dovrei indossare di più: il trucco rende sempre meglio quando il “trio” bronzer-blush-illuminante viene applicato, ma tendo a dimenticarmene nell’applicazione quotidiana. 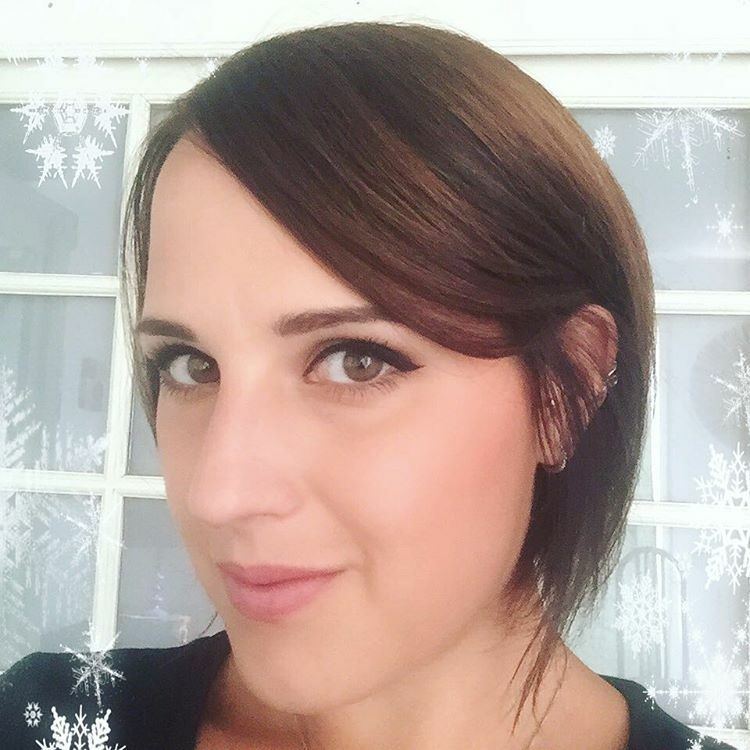 (Potete vedere la mia selezione di bronzer qui!) Preferisco illuminanti che siano leggermente dorati, per dar sì che si sposino meglio con la mia tonalità di pelle e appaiano più naturali. Iniziamo! Questo illuminante è piuttosto famoso e amato, e capisco perfettamente perché. Dona una meravigliosa luminosità dorata senza essere troppo brillantinato, e può essere indossato in maniera più leggera o molto intensa. Non riesco a trovare un difetto! Il nome è piuttosto interessante, e deriva dai bronzer della linea che presentano un finish soft matte. Beh, è meraviglioso. Lo shimmer è ancora più raffinato, la luminosità ancora più naturale. È perfetto anche in uno strato sottilissimo perché appare sempre uniforme. Mi piace un sacco! Questo è il più bello nella confezione, e devo dire che si comporta piuttosto bene anche sulla pelle. È molto naturale: è l’unico che mi oso applicare anche sul naso o sull’arco di cupido anche durante il giorno. Va benissimo con la mia tonalità di pelle perché contiene una quantità abbastanza piccola di rosa. Sarò onesta: questo per me è l’esempio perfetto di prodotto sopravvalutato. Non fraintendetemi, è comunque bello, ma penso ce ne siano molto migliori. È piuttosto evidente, non avendo lo shimmer sottile dei precedenti, quindi lo trovo più difficile da indossare. Forse sono solo io! Ho tenuto il migliore per la fine, visto che è edizione limitata. Che vi devo dire però, è il mio preferito (lo trovate tra i miei dieci prodotti preferiti qui!). Dona alla pelle la più meravigliosa luminosità, e lo swatch che vedete è una passata leggerissima. Non spaventatevi però: un pennello per ombretti da sfumatura passato leggermente sulla superficie del prodotto preleva la più piccola quantità di prodotto che è semplicemente perfetta. Nessuno shimmer eccessivo, niente guance super riflettenti alle 8 del mattino (a meno che non vogliate, anche se forse è meglio alle 8 di sera! ), solo una luminosità stupenda. Cosa posso dire… Spero che lo ripromuovano presto! Ditemi, quanto spesso indossate l’illuminante? Avete qualche suggerimento? I like the look of the Laura Mercier one. I'might have to pick it up ! I love all these except Whisper of Gilt as it's a bit golden for me-the Laura Mercier one looks interesting. Kevyn Aucoin Candelight is THE highlighter for me! Hey Guydy, you have a lovely collection there! I don't own any of these. For the moment, I am obsessed with Chanel Dentelle Precieuse! Such a gorgeous highlighter collection you got there Gyudy! It looks like I need to check out The Balm cosmetics for the highlighter. I'm still loving my Benefit Watt's up highlighter, but lately I've been using the Charlotte Tilbury Bronze&Glow highlight shade ALOT. I've heard people say it's too much for during the day, but I totally disagree! I do love a good highlighter, and Maryloumaniser is one of my all time faves. i definitely need to check them out as they are gorgeous highlighters you've got. I never wear highlighter, I need to get into it! It's just breaks my heart that I missed out on Whisper of Gilt.. These are all gorgeous, although I think MAC lightscape is my favourite! I love highlighters, I can't believe I've only started wearing them in the past year! I'm a big lover of highlighters, especially in the cooler months of the year. You've given me a few I need to try so thank you for the recommendations! Great recommendations. I'd love to try the Lightscapade.